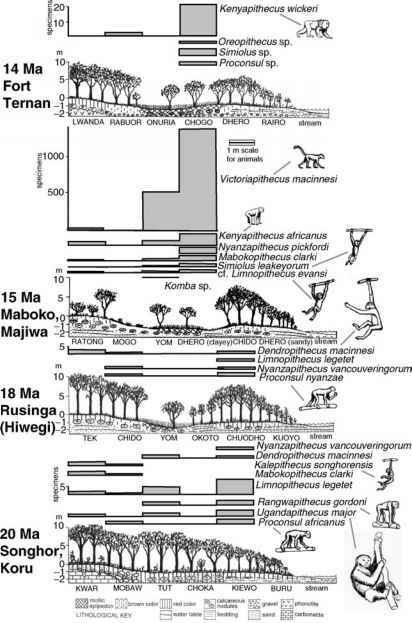 The number, timing, and direction of earliest hominin dispersals from Africa have long been a major point of discussion, and opinions on these topics remain varied and contentious (Rolland 1998; Turner 1999b; Bar-Yosef and Belfer-Cohen 2001; Strauss 2001; Villa 2001; Dennell 2003,2004). Early Pleistocene assemblages from 'Ubeidiya in Israel dated to around 1.5 Ma (Belmaker et al. 2002), perhaps Pakistan by 1.8 Ma (Dennell 2004), and human material from Dmanisi in Georgia dated around 1.75 Ma (Gabunia et al. 2001; Vekua et al. 2002) set a minimal date for the original movement. Dispersals to eastern parts of Asia remain more contentious, with the most recent claim based on 1.66 Ma deposits at Majuangou in the Nihewan Basin of northern China with stone implements and what is interpreted as stone-tool processing of animal carcasses (Zhu et al. 2004). The stone tools resemble primitive Oldowan items found in African deposits, and the authors argue for a significant and flourishing early dispersion from Africa, although the rest of the mammalian fauna has no clear African elements. However, the current consensus would seem to favor a shorter chronology after around 0.5 Ma for more extensive and intensive occupation of Europe in particular and Eurasia in general, with a long tail of more sporadic appearances back to and perhaps even beyond the Plio-Pleistocene boundary (Turner 1999b; Roebroeks 2001). But which route, or routes, was used? By land across Sinai and the Levant, across the Bab-el-Mandeb Straits at the south of the Red Sea and then across the Arabian Peninsula proper, or by the Gibraltar Straits?